I teach public, private and homeschool students out of my location in Kirkland. I cover math concepts ranging from basic math to Pre-Calculus. 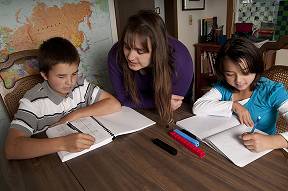 "Marna has made an enormous difference in my children's ability to understand and be successful in math. She presents the concepts clearly, and has the gift of being able to meet my children at their level, never making them feel badly for not understanding or needing to review a concept. I don't know what we would do without her!" "Marna is amazing in every way. Not only are her math skills outstanding, but she is very intuitive of her students learning style and is able to teach concepts in a way that your child learns best." "...she gave him the foundational skills he was lacking and improved his confidence 100 percent. Marna is kind, patient, and sensitive to children with unique learning styles." Copyright © 2017 Marna Marteeny All rights reserved.